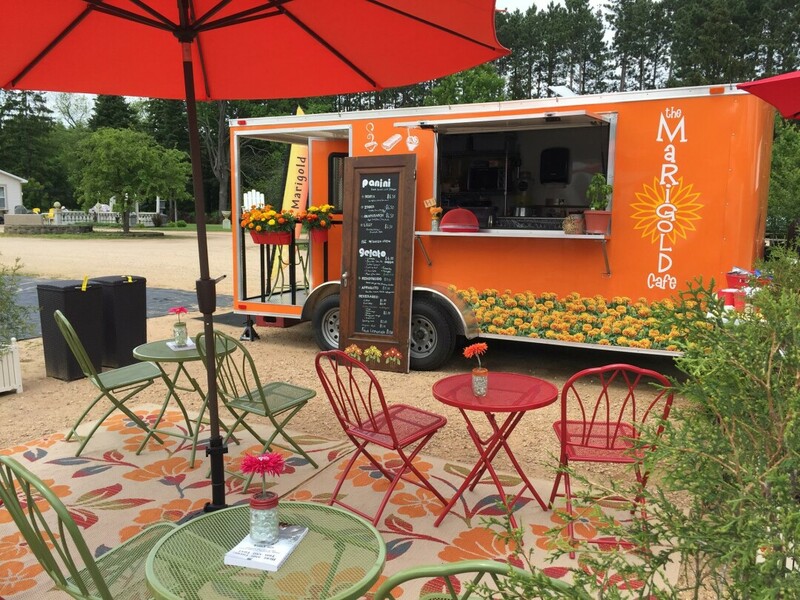 The Marigold Café may be a local food truck, but it certainly offers a global taste. Run by retired Elk Mound sisters Susan Miller and Joy Falch, the “definitely girly truck” combines Italian cuisine with a floral aesthetic. After traveling throughout Europe together, Sue and Joy decided to bring the taste of Italy to the Midwest. For four years, the Marigold Café has provided a gathering place for Chippewa Valley locals while strictly using Wisconsin-based ingredients. In front of the vibrant food truck sit bona fide Italian bistro tables, where locals can enjoy their global cuisine in an intimate setting. The sisters accentuate their love for horticulture within their menu, by naming their items after flowers. 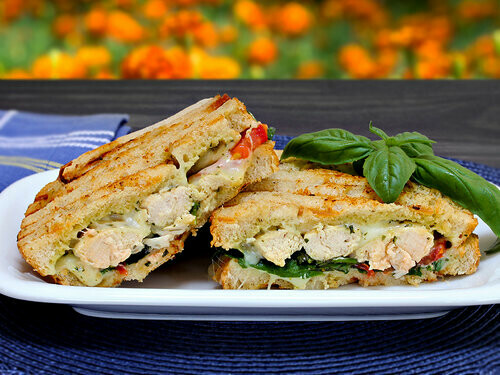 Try their popular “Foxberry” panini, made with tasty apple dried cranberry, or if you’re more on the savory side, treat your taste buds to the “Hosta” panini, assembled with corn beef and caramelized sauerkraut. The Marigold Café provides much more than just paninis: The food truck has developed a reputation as “the only place you can get real gelato in the Chippewa Valley.” You can even kick your gelato up a notch with the semifreddo – it’s topped the truck’s grilled Italian cake. The authentic taste is sourced from Madison’s Sassy Cow Dairy, where employees are taught the art of gelato in Italy. The Marigold has been featured at a number of locations and events throughout the Chippewa Valley, such as Lazy Monk Brewery, Chippewa River Distillery, and UW-Eau Claire. Volume One’s new Food Truck Friday event series – presented in partnership with Silver Spring Foods – continues on October 5 in downtown Eau Claire in the parking lot between N. Farwell and N. Barstow streets (aka the “Railroad Lot”). Each month, up to ten food, snack, and drink establishments will open for business for lunch and dinner (11am-8pm), providing the opportunity to sample and feast upon the work of multiple mobile chefs. To learn more visit the Food Truck Friday website at volumeone.org/foodtruckfriday.